What Is Parcel Post Shipping? Mainly due to the growth of eBay and simple website design, it's never been easier for individuals to start their own mail order businesses. Small businesses are thriving across the country selling every imaginable product, from fine art and artisan baked goods to thrift store finds and handmade jewelry. If your company ships products to retail customers, one of your biggest business expenses is likely to be shipping costs. Depending on the size and weight of your product, the United States Postal Service's Priority Mail may not be the smartest way to send out your goods. Parcel Post shipping, now more commonly known as USPS Retail Ground shipping, is an economical way to send packages in a wide range of sizes and weights and is the standard for a growing number of independent businesses. Parcel Post, now known as Retail Ground shipping, is the least expensive way to ship packages via the USPS. At the beginning of the 1900s, the law prohibited the USPS from delivering packages that weighed more than four pounds. This was always done by private shipping companies. In 1912, Congress enacted a law enabling Parcel Post, a very controversial move. Express companies fought hard against it, but the 54 percent of the country's population living in rural areas pushed just as hard in favor of it. In the first six months that Parcel Post was offered in 1913, the USPS delivered over 300 million packages, spurring on a new part of the American economy. The relatively inexpensive USPS rates encouraged the growth of giant mail-order companies, mainly Montgomery Ward and Sears, Roebuck and Company. Settling the Great Plains and Western parts of the U.S. was made easier with the ready access to catalog goods. As long as a community settled near a railroad line, settlers were able to have needed items and the comforts of home delivered on the lonely frontier. The size of packages allowed to be shipped via Parcel Post has grown throughout the years, mainly due to social pressure. At the beginning in 1912, packages were limited to a weight of 11 pounds and a combined length and girth of 72 inches. In August 1931, it was expanded to 70 pounds and 100 inches. Size and weight limits have fluctuated up and down over the years, but as of January 1999, the limit was set at 70 pounds and 130 inches. Priority Mail is growing in popularity among online entrepreneurs, but choosing the right shipping method for your business can make a big difference on your bottom line. If fast shipping time is important to your customers, Parcel Post will lose out almost every time. 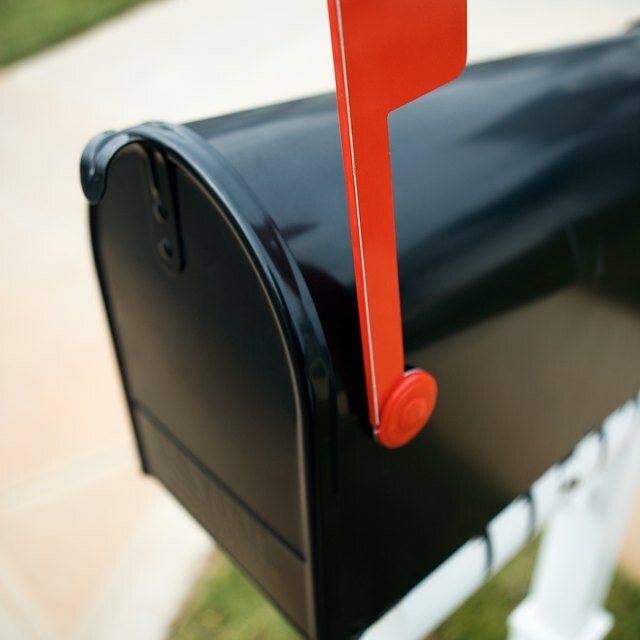 Priority Mail usually delivers in one to three days, while Parcel Post averages about two to eight days. Priority Mail has a distinct advantage when it comes to packing materials. The USPS offers free boxes, stickers and even tape to anyone shipping products via Priority Mail. With Parcel Post, you'll have to find or buy your own shipping supplies. In most cases, the cost is where Parcel Post wins out over Priority Mail. Priority Mail offers a select number of flat rate boxes that ship for a set price no matter what you put inside. However, unless your product fits in with that small size range, you'll need to compare the two services. Consider a package weighing five pounds and going from Michigan to Florida. Priority Mail delivery would cost $14.15, while Parcel Post would cost $13.08. For even modest companies that ship dozens of items a week, this can add up to significant savings, and the savings keep getting larger for heavier packages. Retail Ground shipping is the USPS's modern equivalent to the classic Parcel Post. It's basically the same service, but it's been rebranded. In general, it's the lowest-cost option for sending packages of many different sizes and shapes, including oversized packages. The stated delivery goal is between two and nine days, but it can take up to two weeks for packages delivered by this method. One singular advantage Retail Ground has over Priority Mail is that you can use it to ship oddly shaped packages. If your business sends out products in rolls, tubes, extremely wide boxes or packages that aren't completely square, Retail Ground is the service that will accommodate you and your shipping needs. Keep in mind that every package shipped using this method must weigh under 70 pounds and must measure smaller than 130 inches in length and width. The cost for shipping using USPS Retail Ground is unique in that each charge is based on the zones of the country through which it moves. There are nine zones in the U.S., and the USPS determines the cost of shipping your Retail Ground package based on the distance from the original sending zone to the delivery zone. The price for a one-pound package begins at $6.70. The USPS does have a balloon pricing policy for unusually shaped packages. If yours weighs less than 20 pounds but measures between 84 and 108 inches (length plus width), they will charge you extra to ship your package. If you're in the habit of buying extra insurance for your packages, the USPS offers multiple programs to ease the worries of the most fearful customer. Along with your basic Retail Ground shipping, you can add on Signature Confirmation, COD, Return Receipt, Restricted Delivery and insurance. Each of these services is available for an additional charge per package. Since the USPS gives Priority Mail a priority, it's important that you give your Parcel Post packages a little extra care to make sure they arrive at your customers' houses in good condition. You don't have to encase your products in layers of expensive packing materials, but some common-sense practices go a long way toward keeping your customers happy. Choose boxes for your products that leave enough room for padding material around the objects. If you're reusing a box (and many business owners do so to save money), either remove all labels or completely cover them with black marker. You can purchase boxes at your local post office as well as from a wide variety of online venues. There is a large subset of small businesses that cater only to other small businesses, providing them with the supplies they need, and they frequently sell empty boxes at a discount price. Put your products into the box and completely surround them with packing materials. Use packing peanuts, shredded paper or crumpled newspaper. Once you think you have enough, close the box and shake it. If your product moves around inside, open it back up and add more packing materials. Print out an extra shipping label including your return address and place it inside the package. If your shipping label gets torn off, the post office will still be able to deliver your package. Once you're satisfied that your product is safely packed, use 2-inch wide clear tape to seal all seams around the box. Alternately, you can use packing tape or brown paper tape. Avoid using masking tape, cord or twine or cellophane (gift wrapping) tape. Print out a sticky label or a partial sheet of paper that includes your customer's name and address as well as your name and return address. Place the label in the center of your package on the front surface and cover it with a layer of 2-inch clear packing tape to protect it from moisture and damage. If your package weighs more than 13 ounces, you have to mail it in person at a USPS building. Your local postal worker will advise you about any stickers you might need for additional services you purchase, such as return receipt.